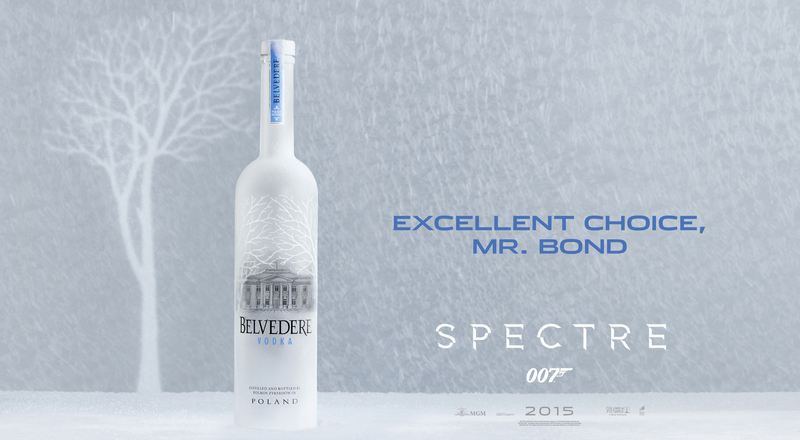 Belvedere, the world’s original luxury vodka, is delighted to collaborate announces its collaboration with Albert R. Broccoli’s EON Productions, Metro-Goldwyn-Mayer Studios, and Sony Pictures Entertainment to promote SPECTRE, the highly anticipated 24th installment of the James Bond series, due for global release on November 6, 2015. Belvedere will release two custom made and limited editions to celebrate Bond’s vodka martini ‘Shaken not Stirred’, and its partnership with the 24th Bond adventure, SPECTRE. In an unprecedented move, Belvedere has replaced the iconic Belvedere Palace with a 007 twist will also be applied to Belvedere’s iconic Silver Saber bottles, known for their cutting edge, metallic aesthetic and illuminating technology. Belvedere’s dedicated marketing program will include a global advertising campaign and a wide range of promotion and activation rights around the film.